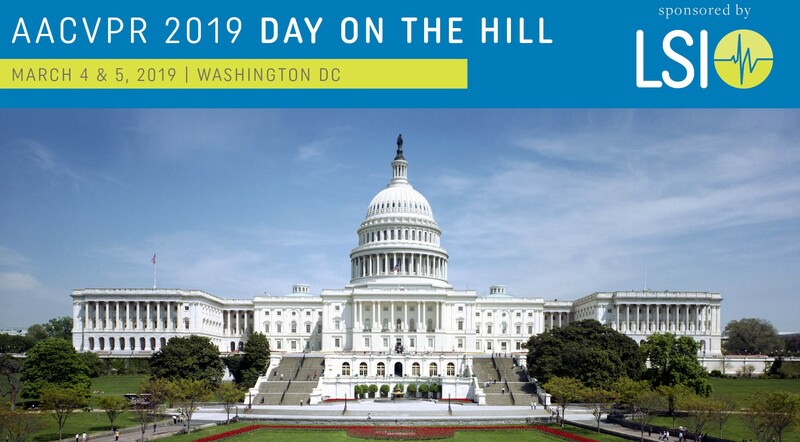 Cardiac and Pulmonary Rehabilitation Professionals will have the opportunity to meet with their state legislators at AACVPR’s Day on the Hill in Washington, DC March 4 – 5, 2019. This annual event provides a platform for healthcare professionals to lobby and advocate for the industry. Previous visits to Capitol Hill focused on Bill HR.1155/S.1361 which would allow non-physician practitioners to fulfill the Medicare requirement of “direct supervision” in cardiac and pulmonary rehab programs. This bill was pass in 2018 as part of the ACCESS Act and will go into effect January 1, 2024. Despite this huge win, there is still plenty of work to be done to educate legislators on the importance of cardiac and pulmonary rehab services. AACVPR’s focus for 2019 is Section 603 of the Bipartisan Budget ACT of 2015, which drastically reduced payments for off-site or relocated outpatient services. For any cardiopulmonary rehab program looking to expand or relocate, this has become a major roadblock. To learn more about this piece of legislation, you can read AACVPR’s Position Paper here. You can also participate in the Preparatory call on February 26, 2019 at 4:00pm EST. If you are unable to attend DOTH, you can still make a difference by contacting your state representatives and asking them to support legislation that would exclude cardiopulmonary rehab programs from Section 603. Contact information for members of Congress can be found here and here.